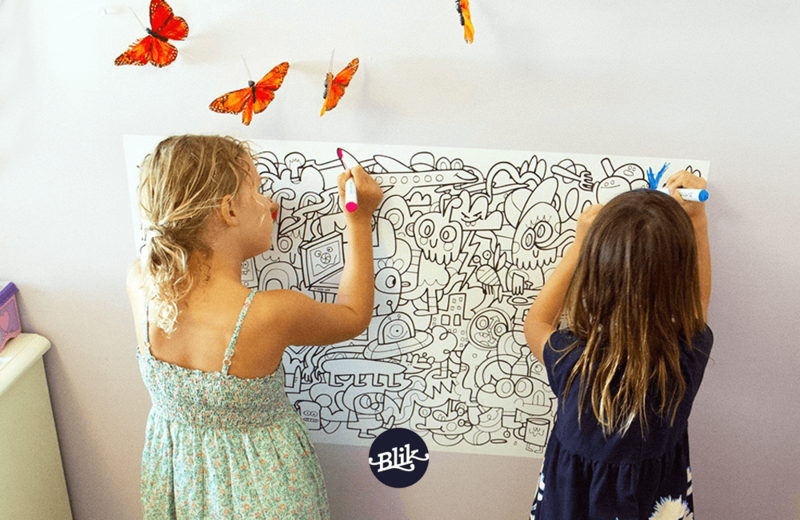 Wall graphics retailer BLIK has given children and adult coloring book aficionados a perfect excuse to draw on walls. The company has teamed up with NYC-based artist Jon Burgerman and Ideapaint to produce the Dry Erase Coloring Decal. The black-and-white decal measures 40” x 23.5” and includes an adhesive backing that allows it to adhere to walls. Included in the package are 12 dry erase multi-color markers, 2 microfiber cleaning cloths, 2 foam erasers, and a cleaning spray. The Dry Erase Coloring Decal checks in at $75.00 USD and is available from a variety of retailers.